As a cancer survivor, I have evolved in some unexpected ways since my initial diagnosis. I’ve learned that I can wake up every day feeling like a victim of my disease, or I can drop any judgments I have about this illness, no matter how it makes me feel, and get on with my day. This isn’t easy when we feel crummy. This isn’t easy when we feel scared. But just as a bit of laughter can turn our mood around in an instant, a little change of attitude can lighten our load immensely. And, as a result of discovering this rather simple sort of mental medicine, I take a few minutes each morning to sit in meditation and follow up by choosing a deliberate “intention” for the day. Whatever it is I intend to accomplish or create or discover, my attitude plays a large part in shaping the subsequent 24 hours. Regardless of how I feel about my cancer on any given day, what I believe about my illness creates the reality and sets the scene for how I live. Some days, when my mastectomy scar is particularly bothersome, or I have an unidentifiable pain in my chest, I can believe that my breast cancer has returned. But on the positive side, having a strong belief in our body’s ability to heal is paramount to our recovery—not in the sense that some magic event may occur (but who knows?) but with an understanding that believing in our good health can have a positive effect on our stress level, blood pressure, respiration and peace of mind. Today I would add our own bodies – with or without cancer – to that list of magic. We are remarkable in every imaginable way, and cancer will never diminish the magic of our lives. But the truth, of course, is that no matter how positive and optimistic our attitude, cancer (even when it’s conquered and discharged) is never far away from the ongoing experiences of our lives. 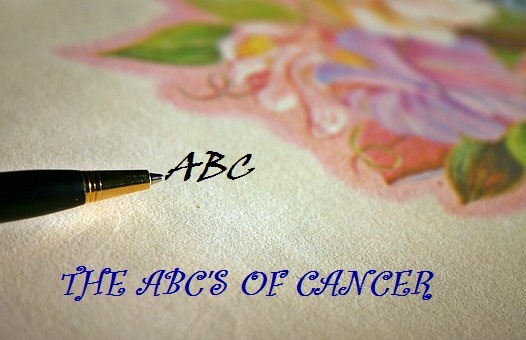 We can never really know when or if our cancer will recur. And it takes a heap of courage to live in this shadow of the unknown, where intentions can’t always be fulfilled and promises can often be broken. This is true for everyone of course, with life’s incalculable variables. In the case of cancer survivors, our futures are no more clouded that anyone else’s, but the possible outcomes are perhaps a bit more significant. Death and dying, for example, don’t leave much room for error. So our courage to live day after day with cancer requires a good deal of determination, a significant trust in our own beliefs and a formidable attitude, all of which support our ability to fight back whenever the rug is pulled out from beneath us. Learning to live alongside our cancer diagnosis is not so different than learning to read. As children, we learned to associate symbols with sounds, finally combining them to create words and sentences. With cancer, we create a strategy, sometimes through trial and error, combining the methods and procedures we believe in, writing our story and hoping to add more chapters as we go. No matter how you spell it, that sounds like a best seller to me.